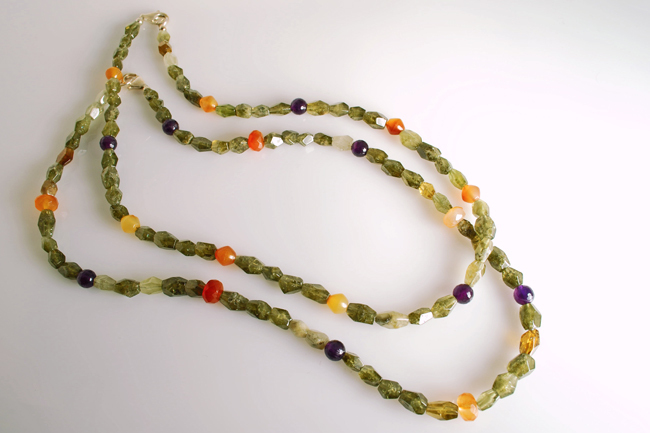 These garnets are a rich mossy green, but you’ll find they go with nearly everything! Faceted carnelian rondells range in hue from burnt orange to gold to boldly offset the deep purple amethyst rounds! A beautiful fall statement! Shown 17.5″ long.